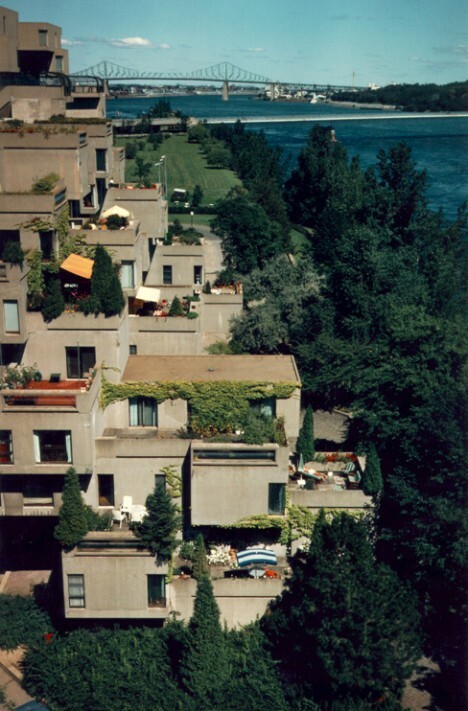 One real-world example of these sorts of modular structures is Habitat 67 by Moshe Safdie, an experimental housing concept built for the 1967 World Expo in Montreal. This apartment complex is a series of stacked concrete units envisioned as a new model for affordable housing combined with community resources like schools and shops. Originally, 1,000 units were planned, but it was downsized to 158. 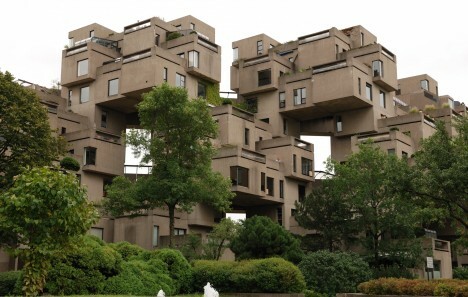 Ultimately, the costs were higher than Safdie had hoped, and the location was a bit too far from the center of Montreal to be a success. Relying on existing urban infrastructure, Daekwon Park’s concept Symbiotic Interlock has a mutually beneficial parasitic relationship with these skyscrapers, bridges and other structures. Modular and prefabricated, these new elements “reunite the isolated city blocks and insert a multi-layer network of public space, green space and nodes for the city.” The stackable modules connect to existing buildings with sky bridges, offering vertical gardens, wind turbines and cultural spaces that can grow as needed. 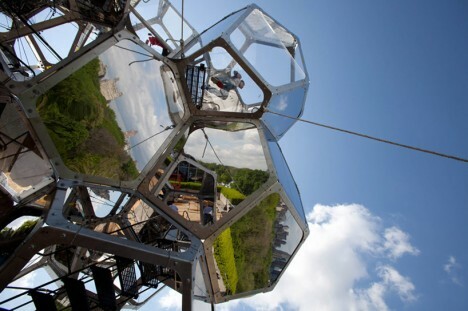 Installed on the roof of the Metropolitan Museum of Art in New York City in 2012, Tomas Saraceno’s ‘Cloud City‘ is another real-world example of how modular structures could be used to expand urban spaces. 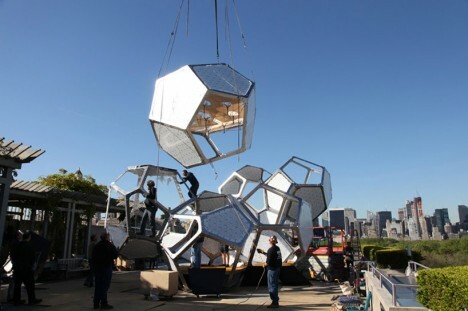 It may be relatively small in scale, made of 16 interconnected geodesic domes, but it’s easy to imagine those individual modules being large enough to house a family, the overall structure growing to skyscraper proportions. The capability to create an ever-growing urban fabric is located right at the base of the modular structures itself. 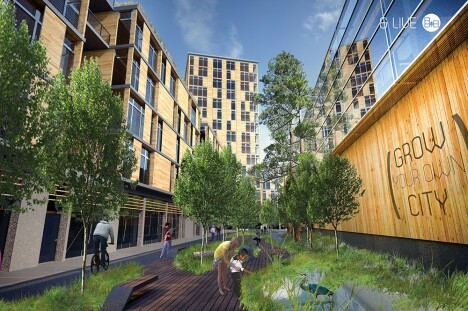 ‘Grow Your Own City,’ winner of the 2013 Timber in the City competition, consists of a prefab modular housing factory that churns out stackable timber-clad modules right in the heart of Brooklyn’s Red Hook neighborhood. 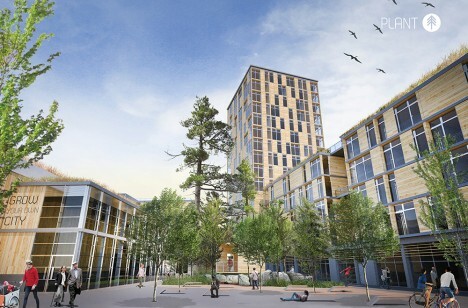 Those modules would grow right there on-site into housing, retail space, gardens and more.